Snuggled between the Great Smoky Mountains and the mighty Tennessee River, Knoxville, Tennessee is a modern, exciting city, famous as the gateway to the Great Smoky Mountains. The city is home to the East Tennessee History Center, World's Fair Park, Tennessee Theatre, Ijams Nature Center, Blount Mansion and many other great attractions. 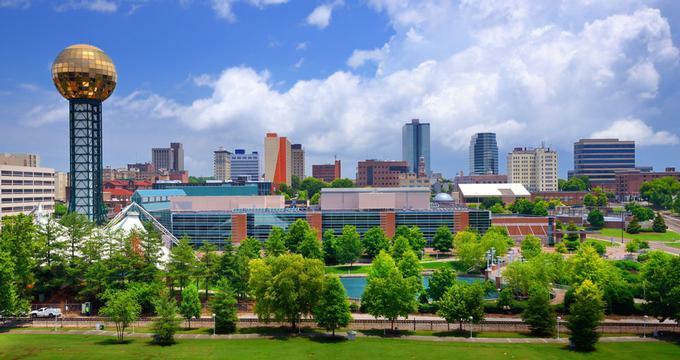 Best things to do in Knoxville, TN with kids include the Knoxville Zoo, the Muse Knoxville, the McClung Museum of Natural History and Culture and Knoxville Children's Theater. World’s Fair Park, the site of the 1982 World’s Fair, is the ideal place in Knoxville to spend time outdoors and one of the top Knoxville attractions. The park has been renovated to include beautiful lawns, walkways, and water features. The innovative fountains and geysers attract visitors looking to cool off in summer, and the manicured lawns serve as the venue for festivals and live performances year-round. History comes alive year-round at the East Tennessee History Center where the award-winning exhibits, educational programs, and events showcase the rich history of East Tennessee. 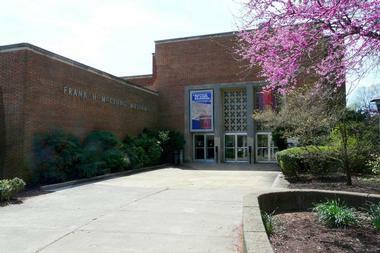 Operated by the East Tennessee Historical Society, the museum exhibits an array of artifacts and intriguing stories that compose 300 years of life in Tennessee. The beautiful Tennessee Theatre opened its doors in 1928 as a “movie palace.” Designed in the magnificent Spanish-Moorish style, the theatre was decorated with the most beautiful pieces available at the time: Czech crystal chandeliers, Italian terrazzo floor, and Asian details in the drapery and carpets. The theatre was meticulously restored in 2005 and today offers a bit for everyone: vintage movies, classical music concerts, Broadway shows, and rock concerts. If you are looking for romantic date ideas in Knoxville, watch a performance at the Tennessee Theatre. The theatre is home to the Knoxville Opera and Knoxville Symphony Orchestra and is used for many special events, big parties, and even weddings. The theatre is part of the National Register of Historic Places. 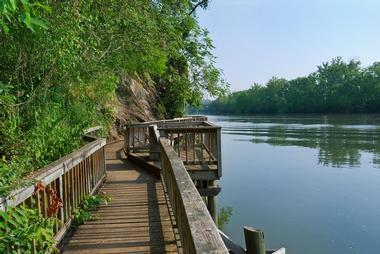 Nature lovers have been enjoying Ijams Nature Center for over a century. Developed by Harry Ijams as a bird sanctuary, the 300-acre park has grown into a leading wildlife sanctuary and environmental learning center. Visitors travel just three miles from downtown Knoxville to explore its trails, creeks, groves, boardwalk, homestead, and so much more. Have fun experiencing wildlife up close at the Knoxville Zoo. Over 900 animals from all over the world make the zoo one of Knoxville’s best attractions. Visitors can ride a camel or a carousel, feed a giraffe, cool off on Knoxville’s largest splash pad, or relax at a Forest Theater Show or Keeper Chat. Celebrating its 25th anniversary, the Knoxville Museum of Art features the culture of the Southern Appalachians and “celebrates the art and artists of East Tennessee.” The building, clad in Tennessee marble, recently received a $6 million renovation that includes the Cycle of Life exhibit, the largest figural glass installation in the world. Stop by the McClung Museum of Natural History and Culture to snap a selfie with Monty, the popular dinosaur who stands on the front lawn. Then you can step inside and see the only dinosaur bones found in Tennessee. Located on the UTK campus, the museum displays the historical and artistic past of Tennessee and ancient civilizations world-wide. More ideas: Best Weekend Getaways in Tennessee. Enjoy a taste of Broadway at the Clarence Brown Theater, a gem on the UT Knoxville campus since 1970. The beautiful venue was made possible by the work of theater teacher Dr. Paul Soper in the 1940’s and generous donations by legendary filmmaker Clarence Brown in the 1960’s. As a cultural resource to the East Tennessee area, the theater thrives on community involvement and features educational programs and school performances as well as general auditions and volunteer opportunities. The Market Square Farmer’s Market is part of the project Nourish Knoxville, which is designed to develop mutually beneficial relationships between the community, farmers, and local artisans, as well as to help provide the community with healthy food. 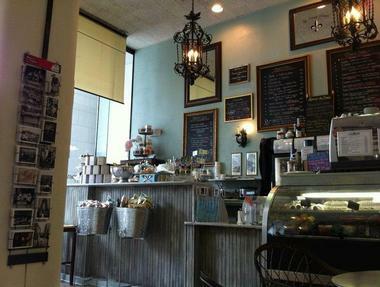 It is located in the open air in the historic and charming Market Square in downtown Knoxville. Everything sold in the market is made, grown, raised, or designed by those who are selling it. Locals love to come to the market to grab lunch, enjoy music during their lunch hour, load up on fresh groceries for the week, pick up a plant for the balcony, or buy a thoughtful original gift from one of the local artists. Knoxville Food Tours are as interesting for tourists as they are for locals: they take you to small hole-in-the-wall restaurants, tiny jewels of stores, and historic spots with dark secrets that few people know. Most of the tours are walking tours of the downtown area, and you can choose the time of the day you start your adventure. If you are not fond of walking, you can take a driving tour of the Bearden District. The tours last about three and half hours, stop at about 6 spots which change regularly, and will introduce you not only to Knoxville’s culinary delights, which are substantial, but will also tell you a bit about the town history, culture, and its famous characters. Taking in a performance at the Bijou Theater is a great way to experience Knoxville’s downtown entertainment scene. The fourth oldest building in Knoxville, the theater received a $2.6 million renovation in 2006 and now features performances ranging from full jazz ensembles to small choruses. Performances by renowned artists and its perfect acoustics make it a world-class entertainment center offering patrons diverse cultural experiences. The landmark that survived war and fire and was once a hotel, bar, and fruit stand has been restored and preserved, making it an essential part of downtown Knoxville’s revitalization. The award-winning Bistro At The Bijou offers an excellent dining option. Kids of all ages love The Muse Knoxville. Blending science and art, its 4,000 square feet of play space provide so much fun that kids don’t even realize they are learning about physical science, building construction, nutrition, and so much more. With a mission to “inspire and empower,” its many exhibits offer fun interactive and physical activities that entertain for hours. 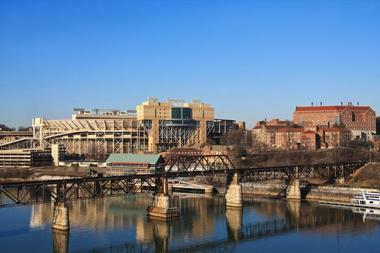 A visit to Knoxville would not be complete without spending some time in the Old City. The revitalized downtown area that holds secrets from Knoxville’s past has become a hotspot for visitors and locals to enjoy excellent authentic restaurants, coffee houses, and art galleries. Coined as “Knoxville’s independent alternative,” the area comes alive at night as a vibrant music scene that showcases East Tennessee’s best musical talents. The area’s beautiful historic architecture has been refurbished to house a blending of Knoxville’s diverse history and cultures. 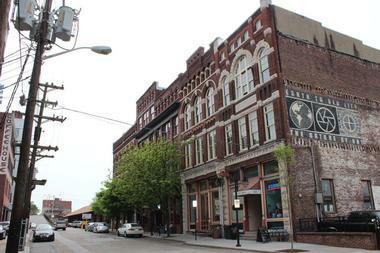 Start at the corner of Central St. and Jackson Avenue and experience the Old City. 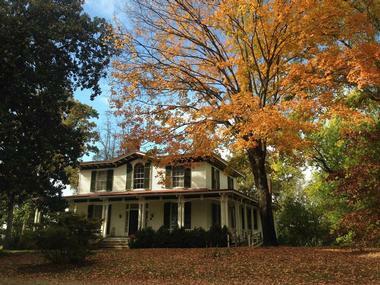 The Mabry-Hazen House Museum sits atop Knoxville’s Mabry’s Hill and preserves the story of one of the city’s most memorable families. On the National Register of Historic Places, the Victorian home built in 1858 contains one of the largest collections of original family heirlooms in the country. Once serving as headquarters for both the Union and Confederate forces, the home and nearby Bethel Cemetery offer visitors an engaging display detailing Knoxville’s vital role in the Civil War. The museum hosts events throughout the year that include an annual Christmas Tour and a Lineage and Legacy program. The museum is closed on Sundays. Thompson-Boling Arena is more than UTK’s premier basketball facility. 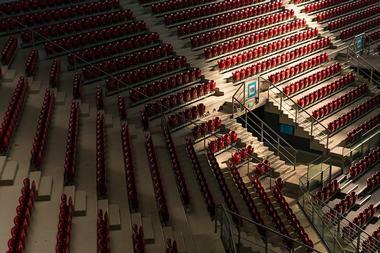 The arena is also known as a major entertainment center in East Tennessee. It hosts a variety of entertaining events throughout the year that include concerts, NBA exhibition games, conventions, and more. Located on the banks of the beautiful Tennessee River, it draws large crowds for Vols men’s and women’s basketball and women’s volleyball. If you are visiting, you might find the court transformed into a concert stage, monster truck pit, or an exhibition floor. One of the highlights of the University of Tennessee, Thompson – Boling Arena is a great place to find world-class entertainment. 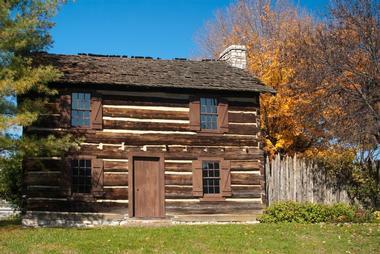 Come experience frontier life at the home place of Knoxville’s founder, James White. After earning a land grant in the Revolutionary War, White led the expedition that discovered the site for his fort that later became the capital of the Southwest Territory and the city of Knoxville. The fort was reconstructed in the downtown area in 1970 and entertains over 10,000 visitors a year with its interactive exhibits of pioneer cooking, blacksmithing, and spinning. Neyland Stadium is home to the University of Tennessee Volunteers and is the fifth largest football stadium in the nation. Accommodating approximately 102,000 fans, it is considered a landmark field for college football. It is named after legendary coach General Robert Neyland who was head coach from 1926 to 1952 and is credited for having built the tradition of Volunteer football. His statue now graces the west side entrance. Undergoing three phases of renovations from 2004-2010, the stadium now offers fans easier access and a more comfortable overall experience. Tours of the stadium can be arranged by appointment during operating hours. Show off your basketball skills, or lack thereof, on the interactive courts of the Women’s Basketball Hall of Fame. 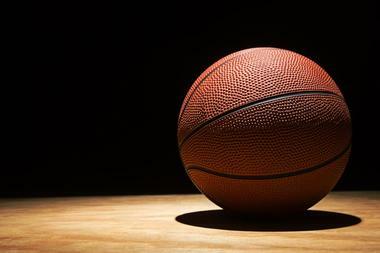 You can’t miss the world’s largest basketball extended over its rooftop. The hall preserves the history of women’s basketball and exhibits memorabilia from its 139 inductees. With its mission to “honor the past, celebrate the present, promote the future,” the hall showcases the inspirational and impressive story of women’s basketball at all levels. 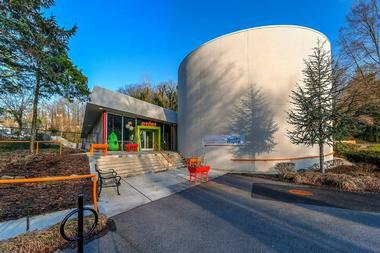 The Basketball Courts interactive display and the All American Red Heads memorabilia are popular attractions. The hall hosts a variety of events throughout the year for students, groups, and families. 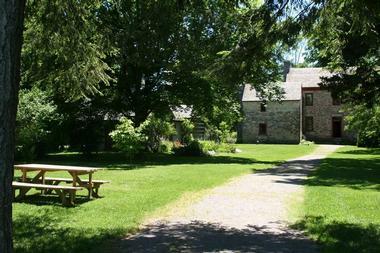 Bring a picnic and enjoy a day in the country at Ramsey House. Built in 1797 for Col. Francis Alexander Ramsey, it is one of the few historic 18th century homes in East Tennessee open to visitors. Tour the home with replica furnishings and stroll the beautiful grounds of what was once Knoxville’s finest home. Tours are available Wednesday through Saturday. Special events are held throughout the year, the most popular being Christmas with the Ramseys. 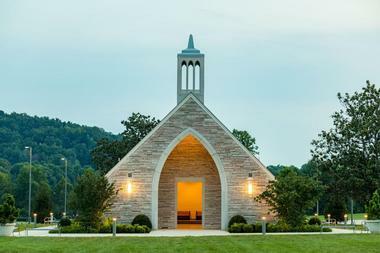 The visitor center and the 100 acres of countryside can be booked for private events. Ramsey House also offers excellent school tours that provide hands-on learning experiences. Unique weekend getaways: The Peabody Memphis, Eagles Ridge Resort, Butterfly Meadows Inn and The Chattanooga Choo Choo Hotel. Located in the luxurious Oliver Hotel on Knoxville’s Market Square, Oliver Royale is an Art Deco jewel with cozy black banquettes along white brick walls and a long bar. It is very popular with the “in” crowd and local foodies. The restaurant is the brainchild of Executive Chef Jonathan Gatlin, who serves imaginative seasonal American dishes and works together with local farmers to get the freshest ingredients. Weekend brunch at Oliver Royale is a local tradition and can get crowded, but crab cake benedict and chicken and biscuits are a good enough reason to brave the rush. The lunch and dinner menus have traditional American dishes with the chef’s special touch. 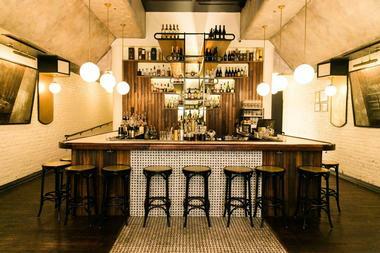 Try his seared scallops or Oliver Burger to get the idea. Don’t skip dessert, as the macarons and truffles are divine. The wine list is respectable and the cocktails are imaginative and original. Knoxville Children’s Theater is a gem in the downtown cultural scene, and its mission is to provide a quality theater experience for children, by children. The building might be quaint and tucked away, but what happens inside is magical. The staff is top-notch, and they cater to the city’s youth by offering classes and workshops on weekends and holidays. The cast and crew of their award-winning productions are mostly area youth, and they feature a full calendar of quality performances. 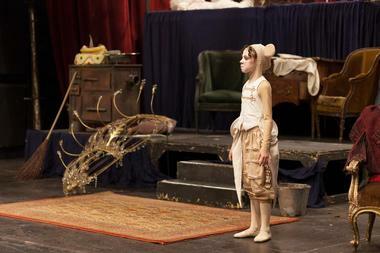 The theater offers classes for children of all ages and is easily accessible from downtown. You can take a guy out of Memphis, but you cannot take Memphis out of the guy. Archer Bagley came from Memphis and brought with him the skill for making true Memphis-style BBQ: dry rubbed, hickory smoked chicken, pork, beef, and ribs. Everything is marinated in Archer’s own secret sauces. He claims that it is not the sauces that make his barbecue so delicious, but the exceptionally high quality of meat he picks and the right cooking temperature. It is probably a bit of everything. He serves his meats with classic, typical Southern sides like collard greens, string beans, coleslaw, and potato salad and they are all made fresh daily. You do not have to go far for Archer’s Barbecue – there are four locations all over Knoxville. The French Market is a delightful French bistro-style restaurant in downtown Knoxville serving authentic French sandwiches on baguettes and croissants and fresh hot soups. But what people want when they visit are their sweet and savory crepes, whipped with wheat or buckwheat imported from France. Whether you are coming for breakfast or lunch, you will have a hard time choosing from the large number of fillings wrapped in light, delicious crepes. You’ll find options like salmon with cream, Swiss cheese and ham, tomato, spinach, onions, and much, much more. And if sweet is what you like, try crepes with strawberries and crème, Nuttella, s’mores, or Bavarian crème – just like in Paris. More great places to visit in Tennessee: Nashville, Chattanooga and Pigeon Forge.